The mortar is finished, and what a beauty she is too, though I say so myself. 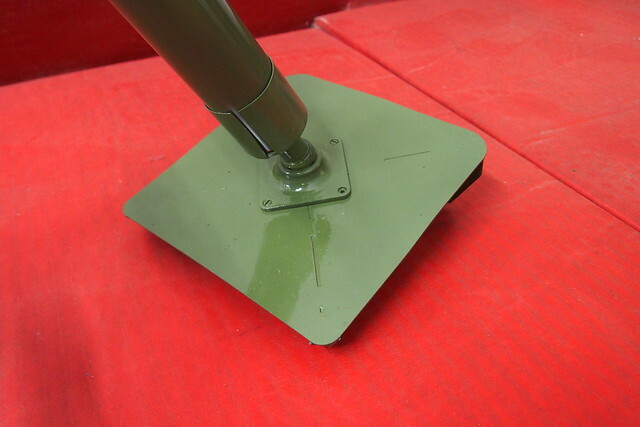 The adjustable windage is quite smooth, the folding handle giving adequate purchase and leverage. While the leg spreading system has its advantages, I can’t help but feel there are simpler designs that would have had the same result. Perhaps the reasoning is plainer with a live firing version. 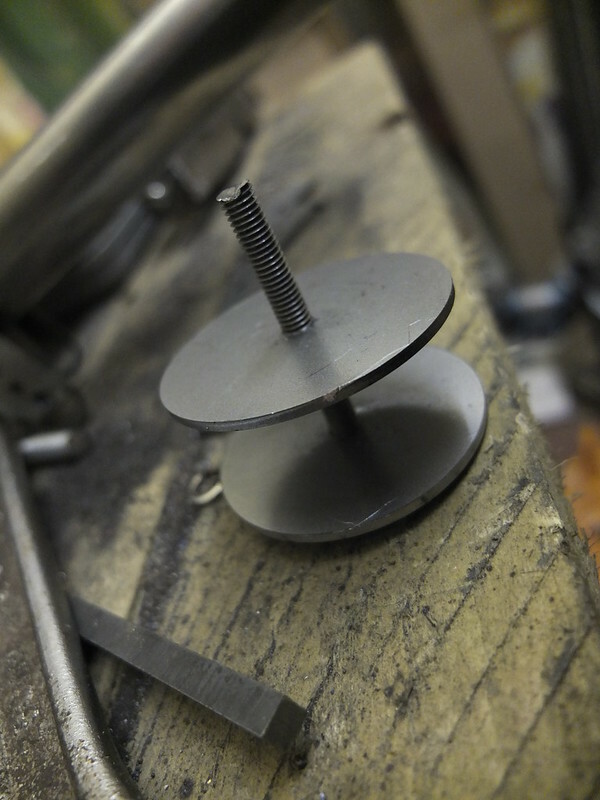 The baseplate has a 3D printed socket for the ball to slot into. On the original this is stamped into the plate design and features a lock, but here the ball is left free so that the barrel can be quickly upended and spent shells ejected. 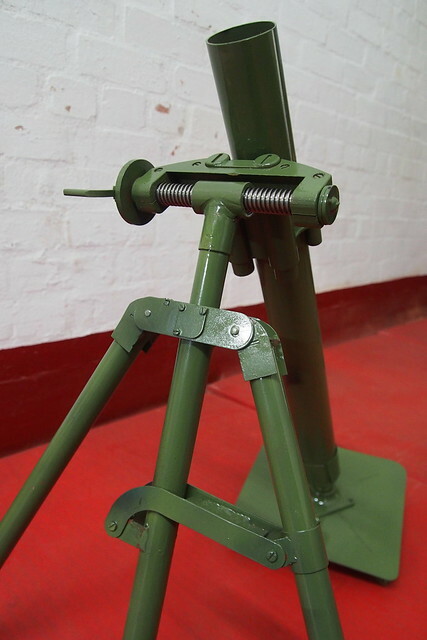 The spikes on the bipod should keep it raised just high enough to give access to the elevation control in the centre. A top-down view, showing the windage lever in the stowed position. 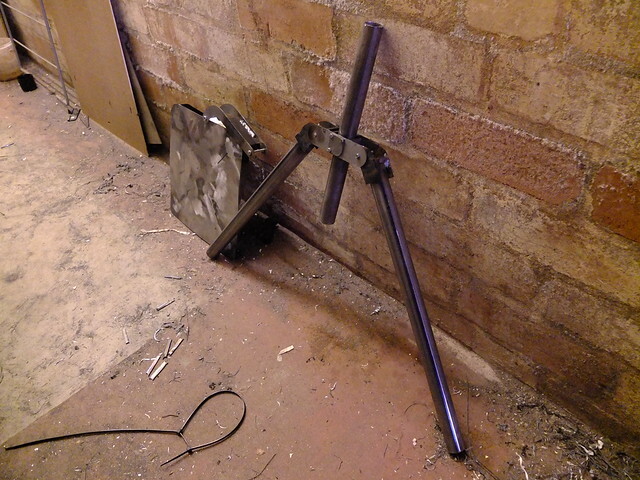 Once packed away, this mortar isn’t actually too bad for portability. 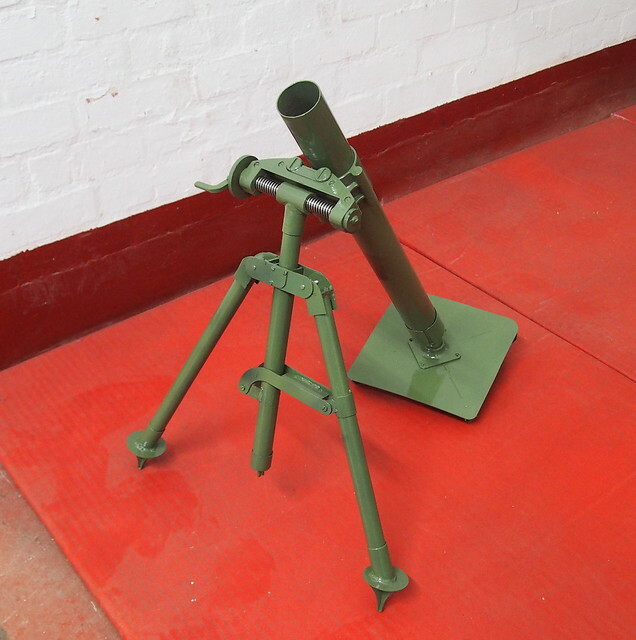 Considering the complexity and the precision you could achieve out to a respectable range on the original, you can see why modern light mortars are more closely related to this package than the T89 or SMBL 2″ families. While they may have portability and speed on their side, the ability to fine-tune fire for only a little extra weight and bulk certainly has its appeal. 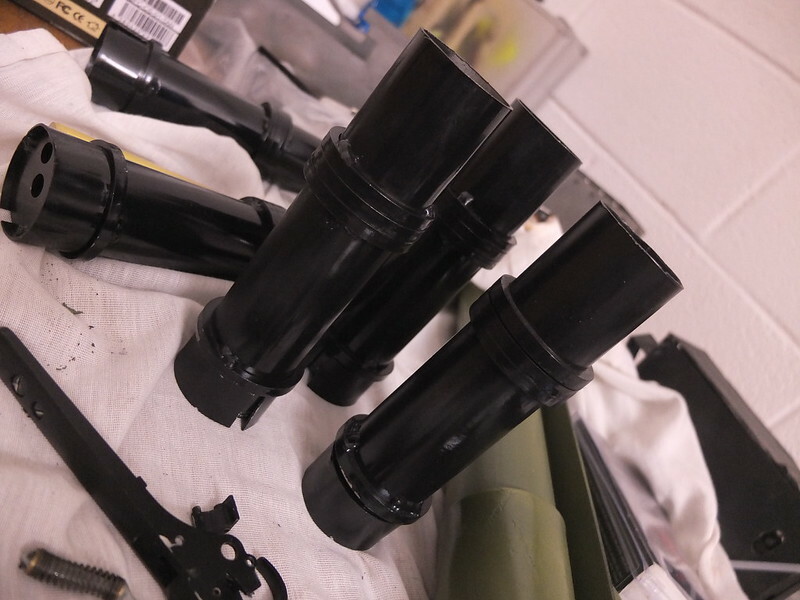 If you liked this project or have an idea of your own, drop us a line on enquiries.vintageairsoft@gmail.com to discuss. ‘Like’ our Facebook page or follow the blog to get regular updates on projects and interesting videos and articles. 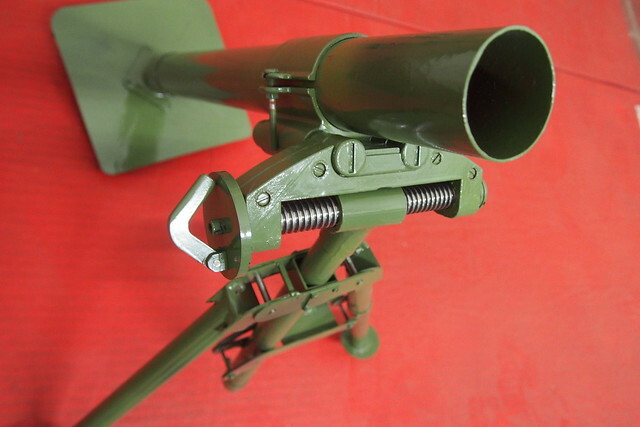 You can find the build posts for this mortar here. Don’t forget you can buy some of our complete products via Etsy. If you would like to commission a build like this, please drop us a line on the above email. 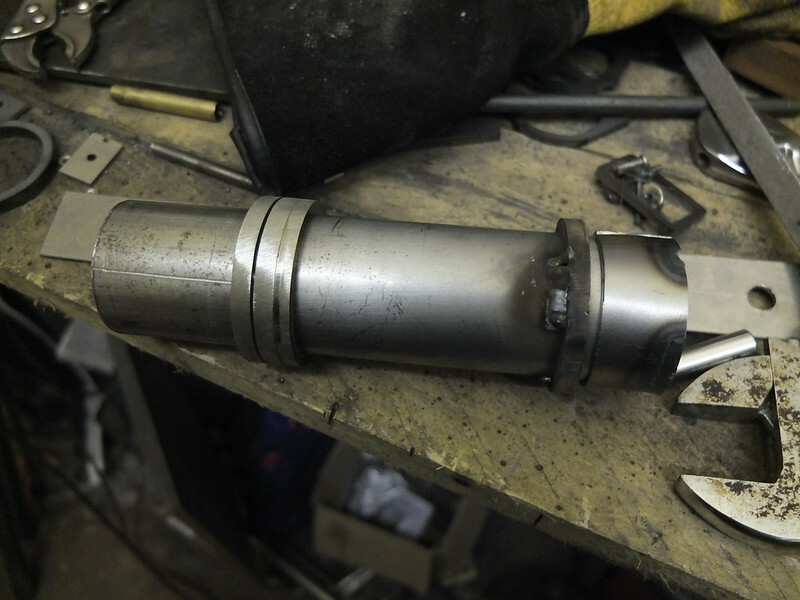 The project started with a good deal of research, finding pictures of all the component parts. From this I calculated dimensions and drew up plans. 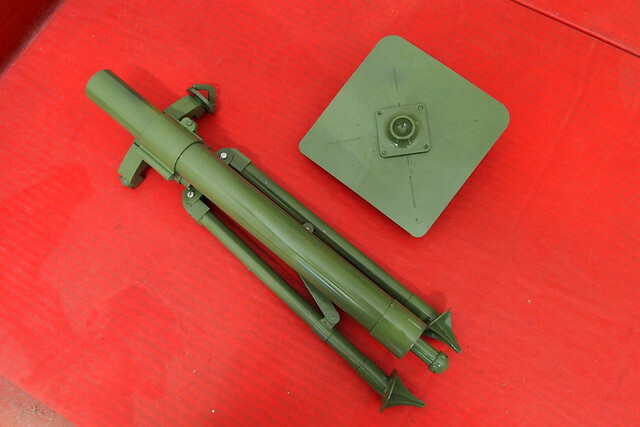 The M2 is quite a bit more complicated than the SMBL 2″ used by the British. For my flat laser cut parts, I’m looking at around 3x as many pieces: plus a number of cast or printed parts. 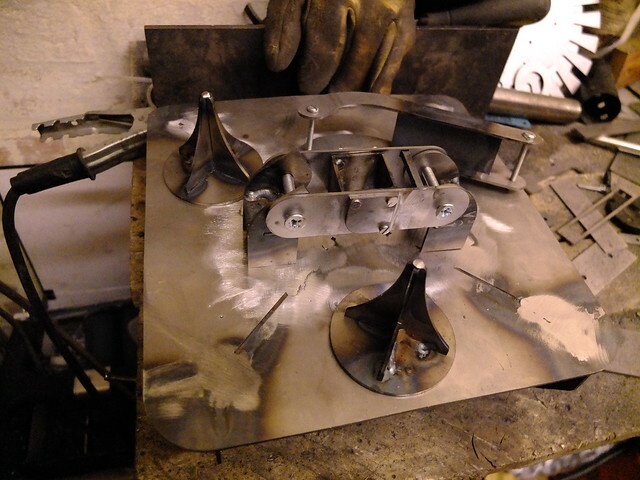 The baseplate is the first component to be assembled. 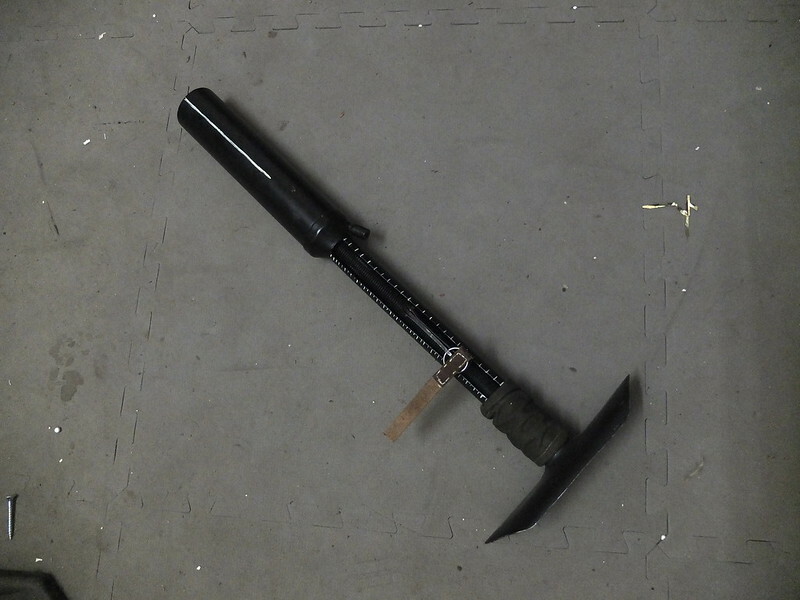 This heavy plate is designed to stick into the ground to control and direct the recoil. 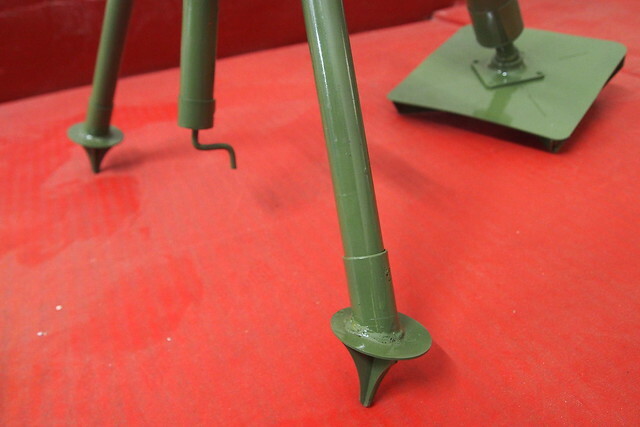 Then the feet for the bipod legs and the hinge parts, Although the M2 is complicated, it does fold down quite tidily, which means a lot of moving parts. 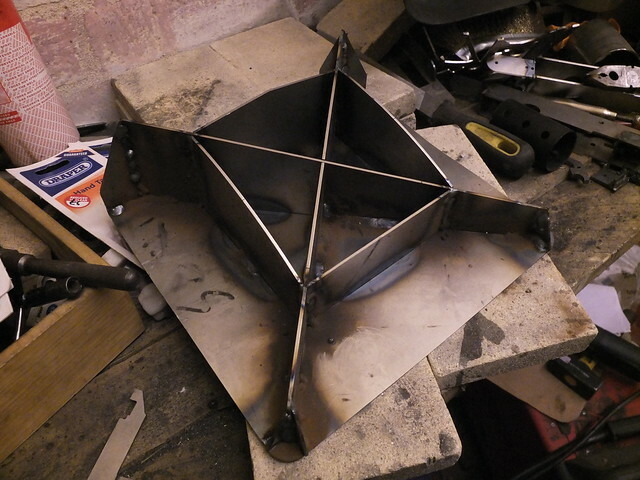 With the legs in place, the mortar starts to take shape. 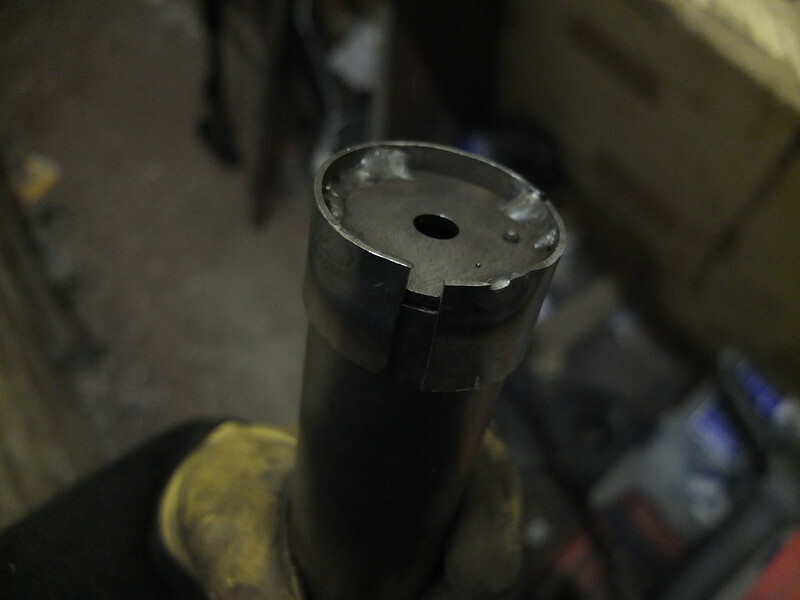 The tube through the middle will have the elevation control going through it, at the top of it will be the T-piece where the windage adjustment will sit. 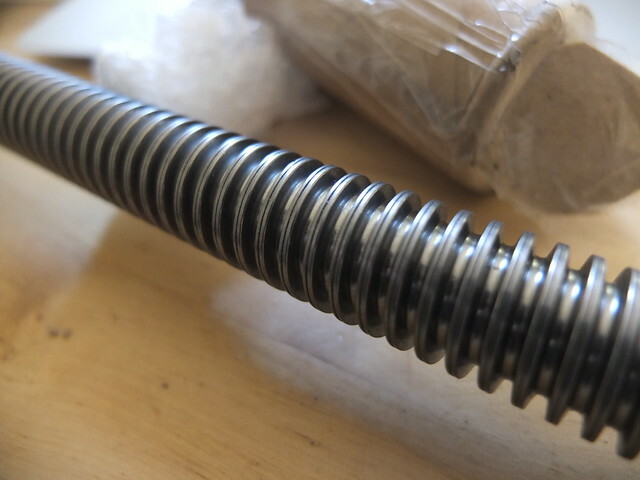 The thread arrived, it is a 20mm trapezoidal threaded rod which should be coarse enough to allow quick adjustments to be made, but fine enough to allow for accurate fire adjustment. 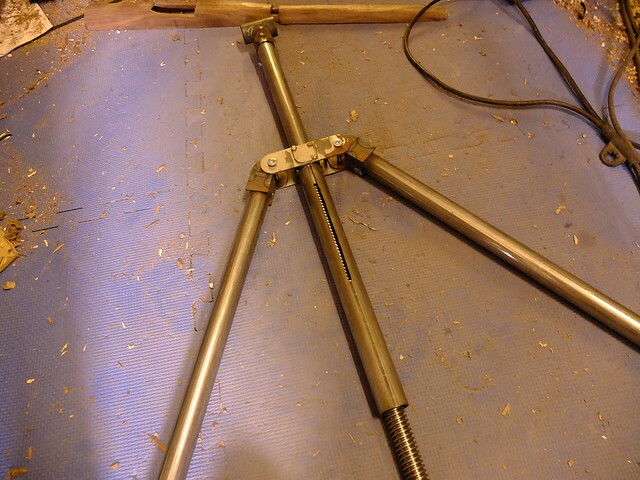 The elevation adjustment screw in place and the T-piece at the top of the column (where the windage screw will go). There is a slit in the back of the column in which a screw sits that locks the inner column into the outer and engages the screw thread. 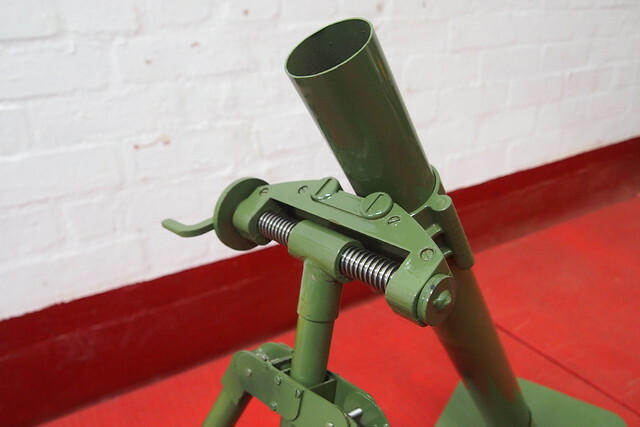 When the elevation is raised to maximum, you can just see the thread through the slot at the back, but this will effectively be hidden by the barrel. The next components will be the windage adjustment and endcaps. 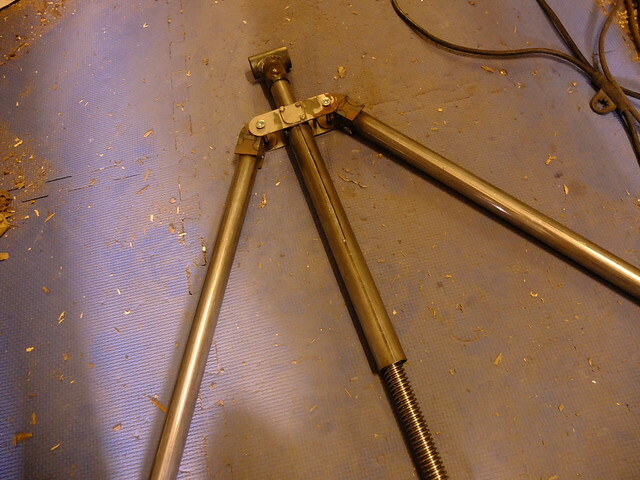 These are going to be 3D printed in ABS for strength and will also have the barrel clamp.